Reliance Jio is expected to launch its Jio Fibre service in June this year. Jio Fibre is the company’s fibre-to-the-home (FTTH) broadband service. The company also aims to come up with multiple solutions such as home automation, surveillance, and security among others. “We are doing some trials in various cities and most trials are successful and ready for commercial rollout,”. The executive tipped of Jio Fibre services, going public in around two months, will promise affordable high-speed broadband services like no other telecom in India. “The minimum speed one will get is 100 Mbps. Our plans start from 100 Mbps and it will be the most affordable home broadband service that Indian consumers will ever get,” the source further added. As per the reports, Jio Fibre service will be the first one of its kind IoT-based technology to be deployed on a large scale in India. Coupled with IoT technology in place and Jio Fibre smart devices, users will be able to operate and control electronic appliances installed at home. The FTTH service will be complemented with a bunch of home solutions. The report further adds that Jio Fibre home entertainment package will include slew of services such as HD TV, Video on Demand service and JioCloud. It will also feature landline phone service. The services would also be bundled with JioMedia share device, smart set top box, routers and Power Line Communication (PLC) devices. 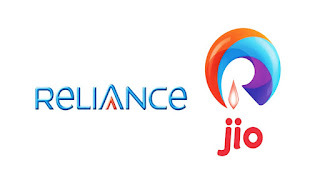 Reliance Jio FTTH services are being exclusively tested for quite a while now in several regions of the country. These includes selected areas of Delhi, Mumbai, and Pune.